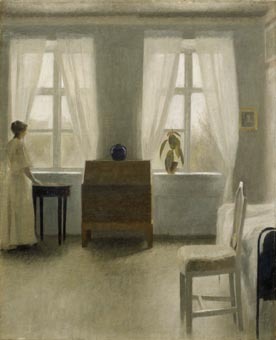 The painting below is called ‘In the Bedroom’ and dates from 1896. 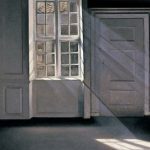 The original is oil on canvas and is painted in the Hammershøis’ dwelling in Ny Bakkehus in the Frederiksberg quarter of Copenhagen. 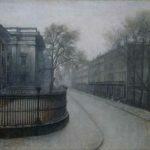 The original painting is now held by the Göteborgs konstmuseum. Photograph by Lars Noord.